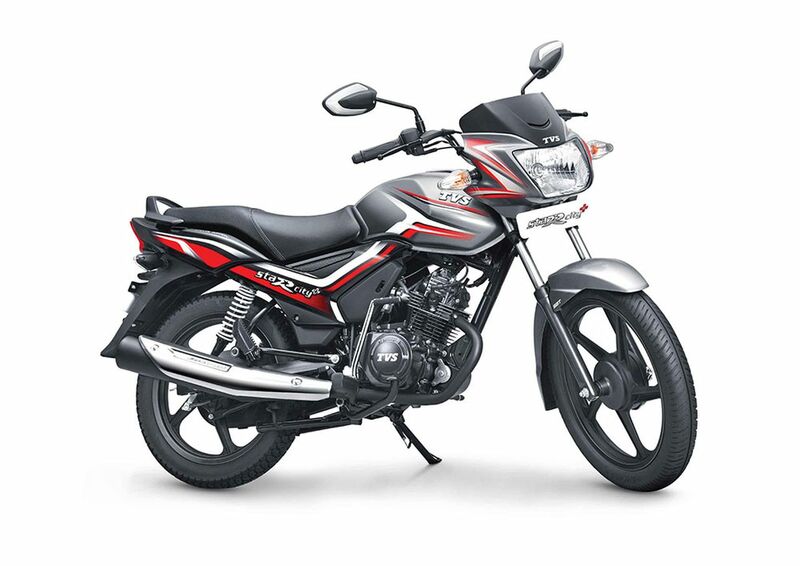 TVS Motor Company has announced the launch of the Star City Plus Kargil edition in India. The motorcycle has been priced at INR 54,399*, a premium of INR 1,035* over the standard model that retails at INR 53,364*. The TVS Star City Plus Kargil edition has been launched at INR 54,399*, a premium of INR 1,035* over the standard model. The TVS Star City Plus Kargil edition pays tribute to the heroes of the Kargil war. The special edition Start City Plus has started to arrive at the dealerships. The motorcycle features a special livery that comprises military green paint with a camouflage pattern. 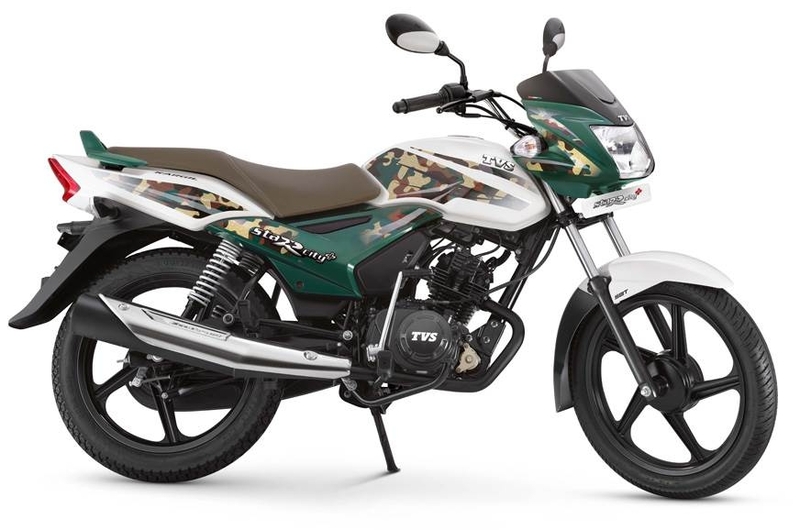 TVS has used a dual tone scheme for the motorcycle with a white base paint and select parts using the green colour with a camouflage pattern. The highlights of the green colour with camouflage visible on the headlight mask, fuel tank, and on the side and rear panels. The pillion grab rail gets a green colour finish while the rear panel seat gets a “Kargil” sticker. Mechanical specifications are identical to the standard Star City Plus. The 109.7 cc, single cylinder, air-cooled engine on the motorcycle produces maximum power of 8.4 PS at 7,000 rpm and peak torque of 8.7 Nm at 5,000 rpm and comes mated to a four-speed gearbox. A 130 mm drum brake at the front and a 110 mm drum brake at the rear perform the anchoring tasks. TVS' combined braking system, called the Synchronised Braking Technology, handles the safety department. Telescopic oil damped forks at the front and 5-step adjustable hydraulic suspension at the rear handle the shock absorption tasks. Last year, TVS Motor Company had announced ‘Kargil Calling – Ride for the Real Stars’ initiative to celebrate the contribution of the Indian Defence forces. The celebratory ride was conducted across all touch points of TVS Motor Company in India on July 26, which is the Kargil Vijay Diwas. As many as 1,00,000 riders across 3,000 touch points in the country participated in the ride, which was led by Kargil-inspired Star City Plus bikes. The changes on the Kargil Edition are limited to visuals and the mechanical specifications are identical to the standard model (pictured). It has started reaching dealerships. In more updates, TVS also launched the Apache RTR 160 4V ABS in India at a price of INR 98,644*. The motorcycle comes with a single-channel ABS and is currently only available in the fuel-injected variant. Is this the new TVS Star City 110?